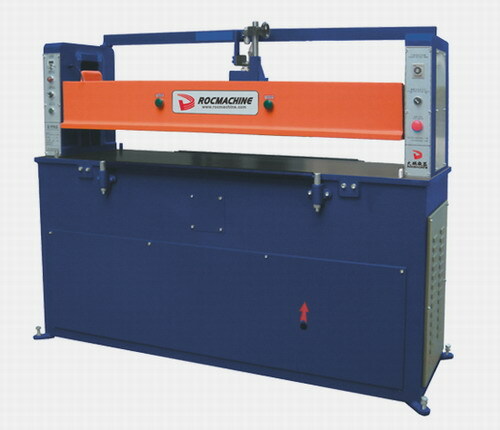 Product Specifications/Features: Detailed Product Description hydraulic cutting press machine 1.Perfect embodiment of high Performance 2.Shoe making machine 3.Most strongly:25T Hydraulic Cutting Machine Features -With a fine-adjustable device which can easily get the best cutting stroke and prolong the service life of cutting die and Cutting rubber plate. -The main shaft adopts an automatic circulating lubricating system which can prevent the components from damage because of the carelessness of personnel. -The materials are automatically and slowly cut when contacting the cutting die, so there is almost no dimensional error between the top layer and the bottom layer of the materials. -There is no noise at time of operation, so the working environment and working efficiency are improved. We Also Have Other Cutting Machines Rocking arm cutting machine Features -Electricity saving: the motor only has a power of 0.75kw, with very high saving efficiency.